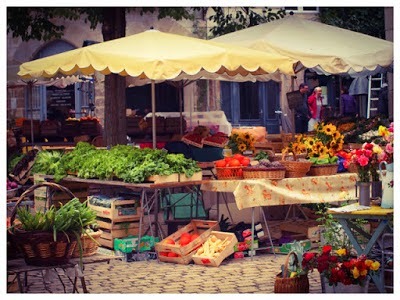 Take this delicious trip to France while it's in theaters! You know that feeling when you've finished sharing a really good meal with good friends, and after dinner you linger for ages over coffee or wine or both - and at some point you look around at the faces, smiling and familiar, chatting happily and you think to yourself, 'hold on to this moment because this is it, this is happiness.' That's how I feel having just seen The Hundred Foot Journey. So happy! Especially since I've been following the making of this movie based on the Richard C. Morais novel and sharing the posts of Sally Tharpe Rowles who saw some of the scenes being shot in the French village where she summers. I can only imagine her pleasure when she sees the town square, replicated on film with all its distinct gallic charm intact. The film is simply a joyous celebration, a celebration of food certainly; foodies will salivate over scenes depicting the preparation of classic French cuisine with its five classic sauces, of fresh goods artfully arrayed in outdoor markets, of wild berries and mushrooms ripe for the picking, of colorful vegetables chopped precisely by a sous chef who is part surgeon part artist, of new, bold flavor combinations, of exotic spices, of the sheer joy of cooking. It's also a warm and sentimental celebration of family, love, friendship, cultures colliding, going for your dreams and finding out what matters, what really matters, to you. It's an emotional journey and I laughed and loved every minute of it. The fact that the movie is set mainly in a breathtakingly beautiful region of France, is the icing on the cake - not to be too ham-fisted about making the food comparison work. 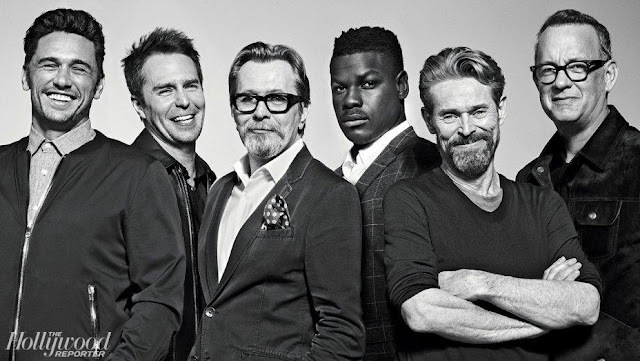 Directed by Lasse Halstrom, shot by Linus Sandgren, the movie really is a feast for the eyes but it's more than that. When Hassan, a talented young cook, and his family from Mumbai (I hadn't quite realized Mumbai is the former Bombay), with its mobbed marketplace bursting with riots of color, open a restaurant in a quiet and quite enchanting French village in the mountains, where the world is bathed in soft, lavender light, we see at once that the noisy newcomers are going shake up the restful status quo with their culinary choices, their spices, their music, their vivid decor, and indeed their very beings. Bigotry is alive the world over, France is no exception, and while that aspect is dealt with a tad too easily here, there is heart-swelling satisfaction at seeing the family win over Madame Mallory, the elegant owner of the Michelin Star restaurant across the road - that's the literal part of the 100 foot journey - from the family's rather more boisterous bistro. Madame Mallory is played by the regal Helen Mirren and while her French accent worked for me, I'm a non French speaker, so truly, what do I know? Om Puri, a well-known Indian actor, plays the family's Papa; and while his English is occasionally a little difficult to decipher it's lovely to hear the lilt in his warm voice, and to witness the character's determination of spirit. The French won't eat Indian food, he's told, but that doesn't deter him. Whether Steven Knight's script called for Puri to occasionally drop into his native language (the Marathi dialect?) or if it came out of improv, there is no attempt and no need to translate his asides. We know what he's muttering to his kids about the trying situations they find themselves in. 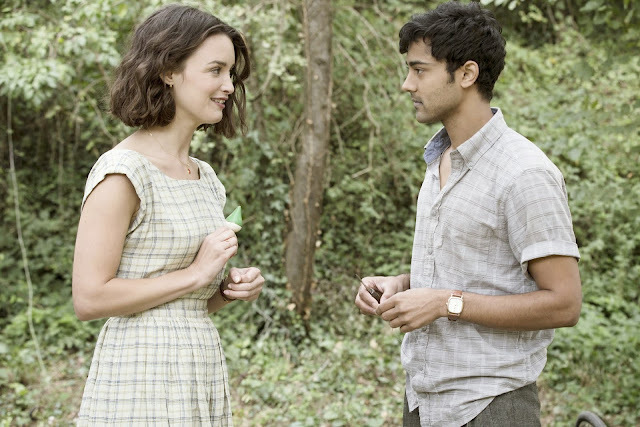 The real star of The Hundred Foot Journey is Manish Dayal, the - may I say - very dishy 31 year old actor who plays Hassan. The American born (South Carolina) actor of Indian descent, got his BA from George Washington University and went on to study acting at the New York Dramatic Conservatory so I assume his beautifully-accented English is a product of his acting technique. His intelligent, thoughtful face is definitely one I'll look forward to seeing again, and I have a feeling, much like his Chef Hassan character, this will be his big break. Charlotte LeBon is beguiling as Marguerite, a sous chef for the formidable Mallory and Hassan's love interest, their chemistry had a nice, gentle simmer to it. Hassan's journey of self-discovery and where his ambitions lead him remind us to be mindful of what really feeds our souls. 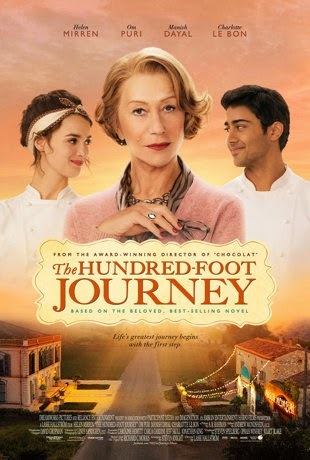 When I told my son The Hundred Foot Journey was a great movie, my young writer/director raised his eyebrows skeptically. A 'great movie' to him would be less predictable, the warm and happy storyline less formulaic. "Hmmm", I said. "Okay maybe not great by your standards but remember how much I loved The Best Exotic Marigold Hotel and Philomena? Great like that." The Hundred Foot Journey took me on a trip to France with all its charms, a visit to the home of a warm and wonderful family of Indian immigrants who meet the challenges of adapting to a new culture without losing their own. The French have a saying - 'chacun å son gout'. Basically 'each to his own taste'. 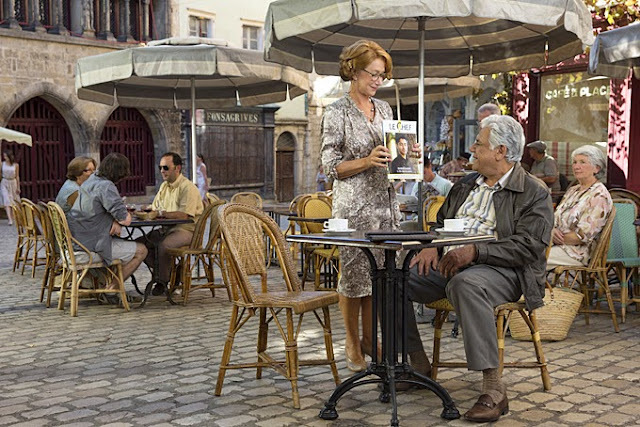 A love story on a variety of levels, The Hundred Foot Journey was very much to my own taste, if you love food, love France, love romance, perhaps it will be to yours as well. I think is another one of those rare cases where I will prefer the movie to the book. I read this book in galley form before it was published, hoping for something heartwarming, atmospheric, struggle-against-the-odds with good food. But it was totally lackluster. The movie def. has all that good stuff down! I hope you enjoy it as much as I did. Loved your review and I agree. I'm reviewing on Dreaming of France. Accents are challenging to understand. So many people acting with accents. I enjoyed the happy ending too. Yes! If Shina sehgal posts a spammy link to illegal full download I will sic interpol on them. My husband makes his living working in the film industry; piracy hurts everyone! 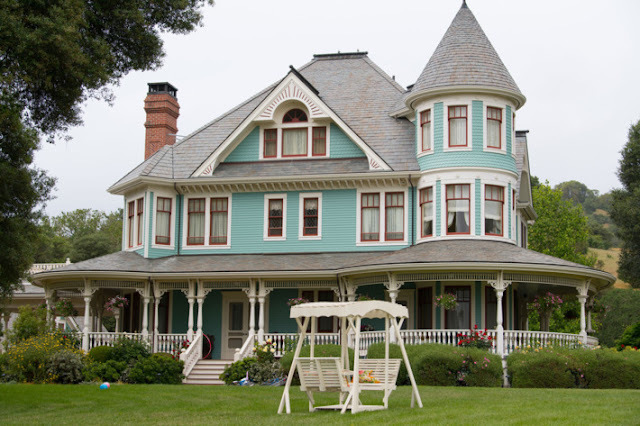 But on to better things; I love playing along with Dreaming of France, and yep, I loved this movie. Oh Sim, I loved your review. So glad you liked the movie! I can't believe you are all getting to see it before me but I am loving reading all of your reactions. Thank you Sally! I can't wait to see what you think of it too. What a great review, it starts here this weekend, and I'm definitely keen to see it even more now. Sometimes we do need a movie like Best Exotic Marigold Hotel and Philomena, this one sounds perfect. Appreciate the compliment, Louise! Tin a world full of Marvel super hero movies, they're few and far between.